Katherine's love for the performing arts began at an early age. Her first classes were taken with Muriel Jolliffe in Lethbridge, Alberta. After moving to Winnipeg in 1975 she enrolled with the Royal Winnipeg Ballet. During a summer program at RWB, Jaques Lemay encouraged Katherine to diversify her training in ballet to include jazz. That sparked an interest in 1980 that has remained with her ever since. Katherine has supplemented her dance training with music, voice, piano and sax lessons. She received her Bachelor of Arts degree with a major in theatre from the University of Winnipeg and spent the summer of 1991 at the highly acclaimed Banff School of Fine Arts studying voice, dance and theatre. Katherine continues to augment her training by attending various workshops in Canada and the United States. Throughout her training, Katherine has enjoyed many classes with world-renowned teachers and choreographers. In 1985, Katherine attended the I.S.T.D. Teacher's course and dance summer school at Ryerson Polytechnical Institute in Toronto. Her teaching experience fuelled an interest in choreography. She continued to be heavily involved in freelance choreography for both dancers and models. Although her love of children and teaching has occupied a great part of her time during the past few years, she's still not ready to break away from performing herself. She's been involved in many musicals including "Sweet Charity", "Carousel", "Peter Pan", "Anything Goes" and "Say It With Music" for Rainbow Stage, "Carmen " and "Salome" for the Manitoba Opera Association and "Amahl and the Night Visitors" and "Der Wildshutz" for the Mennonite Opera Company. 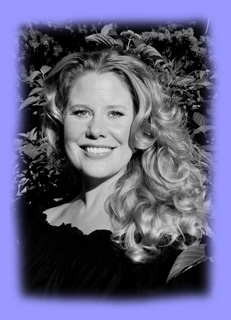 In 1999 Katherine choreographed and performed in the Mennonite Opera Company's production of "The Merry Widow". She has also choreographed a national TV commercial for Wal-Mart. Early 2001 saw her choreographing a local production of Godspell, featuring dancers from Studio One. In the spring of 2001 she appeared in several scenes of the Patrick Swayze movie "Without a Word" directed by Lisa Niemi. Recently Katherine appeared for the second time on The "A" Channel's "The Big Breakfast". Although Katherine has been teaching dance and theatre, performing and choreographing for many years, director of Studio One School of Performing Arts, has been her most favorite endeavor.